A pair of 35 liter saddle bags made from High resistance 1200 W/R Polyester with rigid thermoformed PE backing. 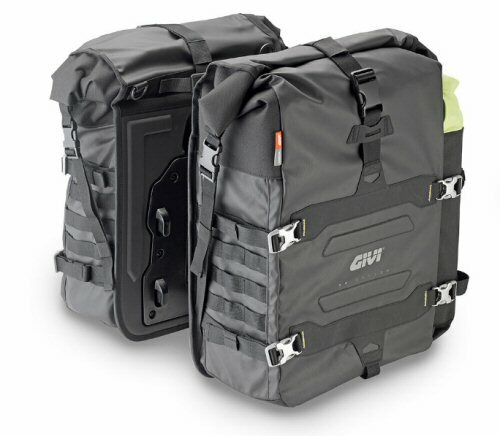 Quick release mechanism allows you to easily detach the bags and carry over the shoulder with the included shoulder strap. 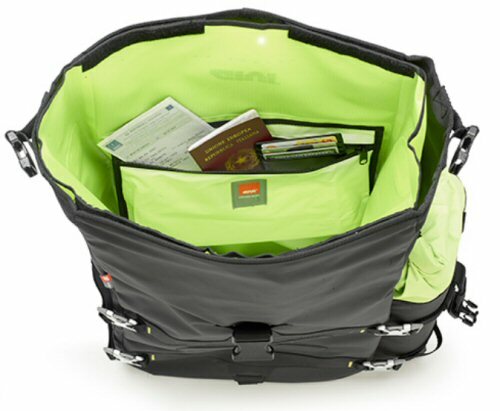 Includes removable inner bag, bottle carrier/webbing pocket, and rain covers. 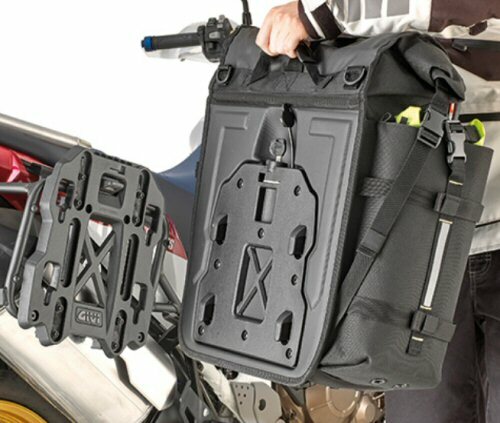 Includes adapter plates for bolt on and quick release operation with Givi series PL tubular pannier racks. ***Please note: These cases are supplied WITHOUT any fitting hardware, nor racks.